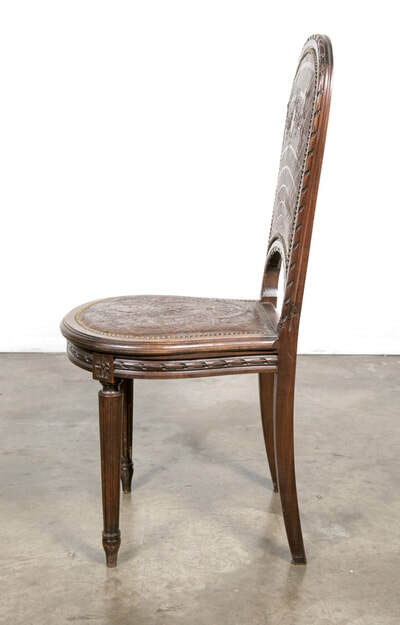 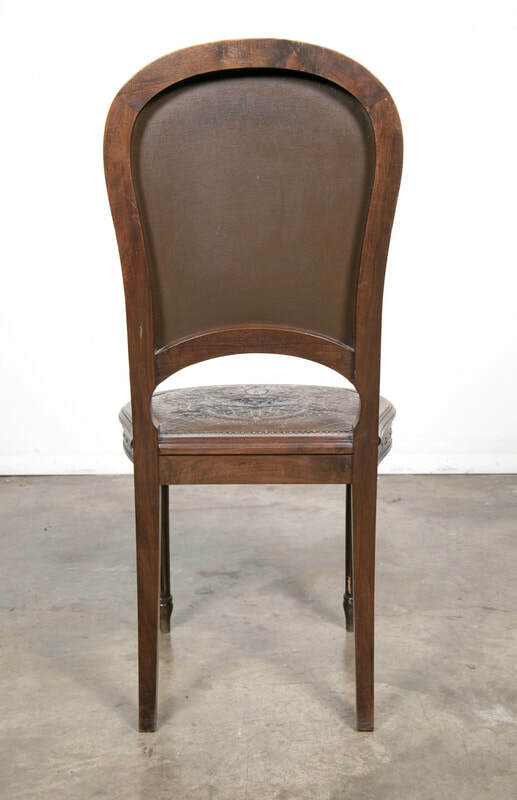 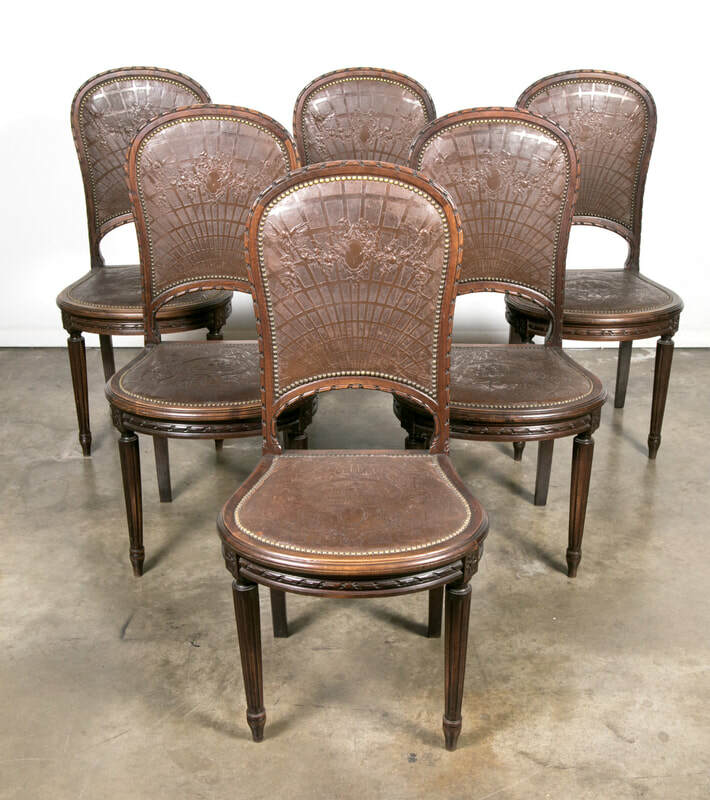 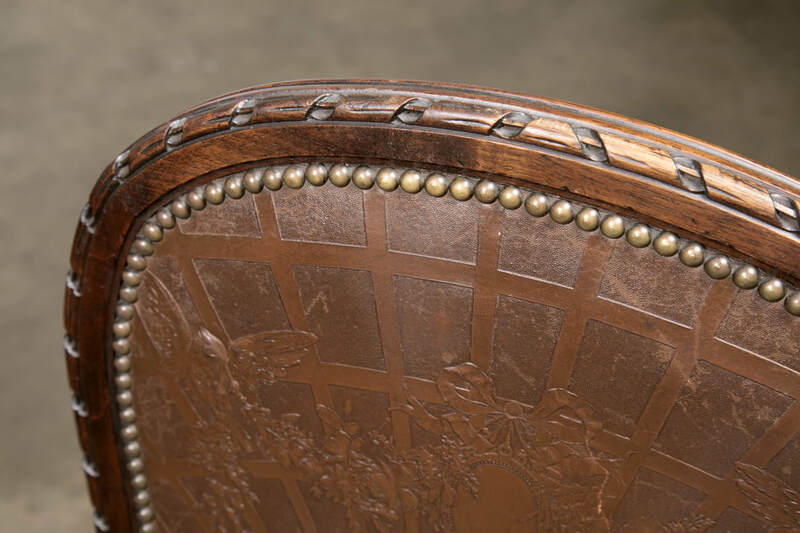 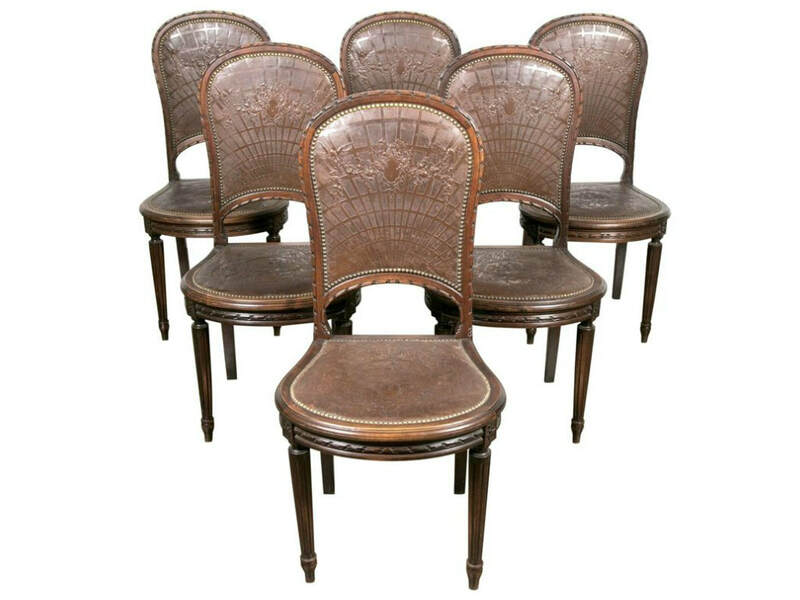 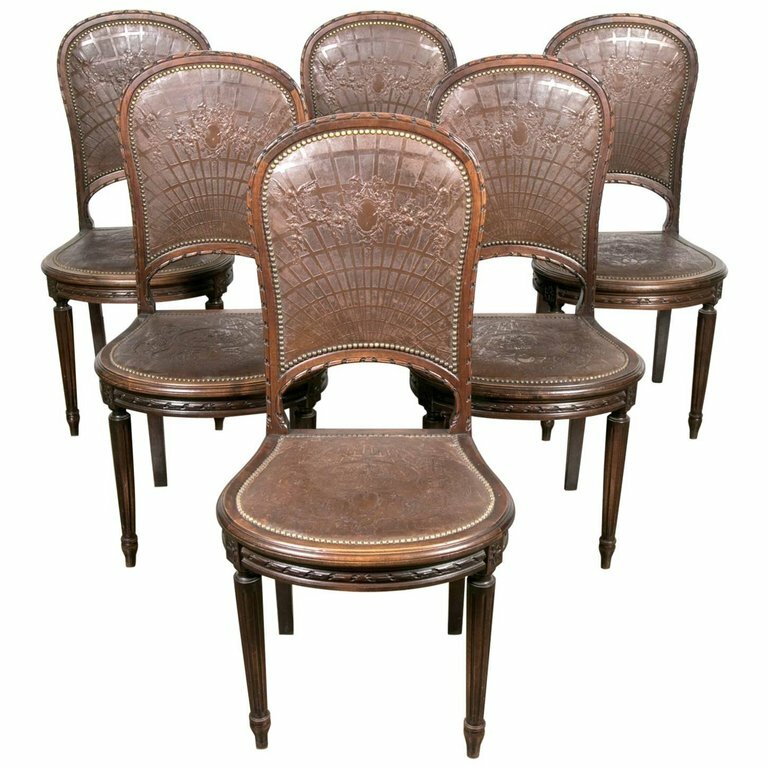 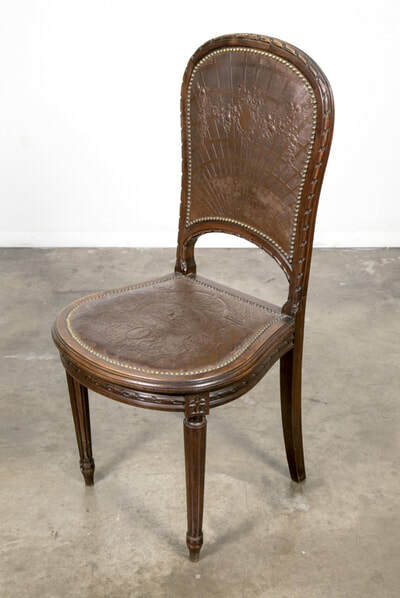 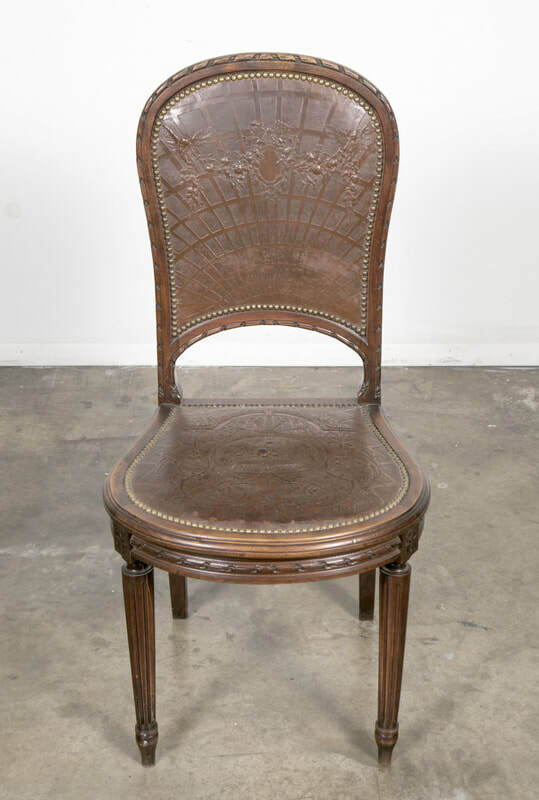 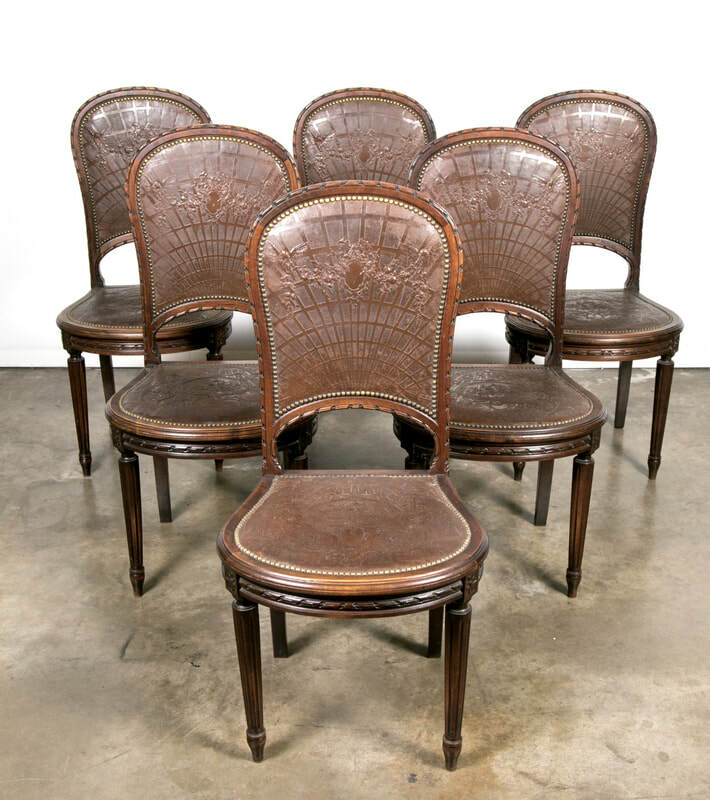 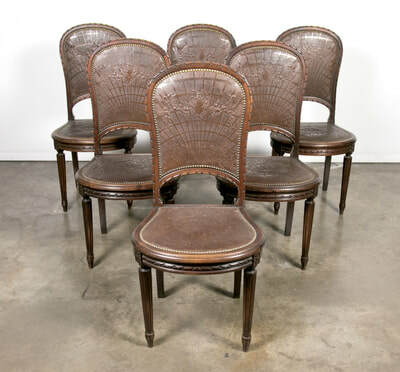 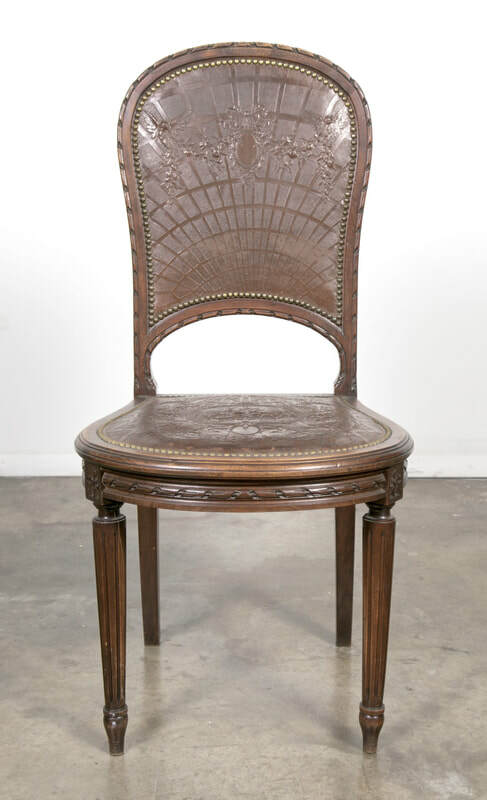 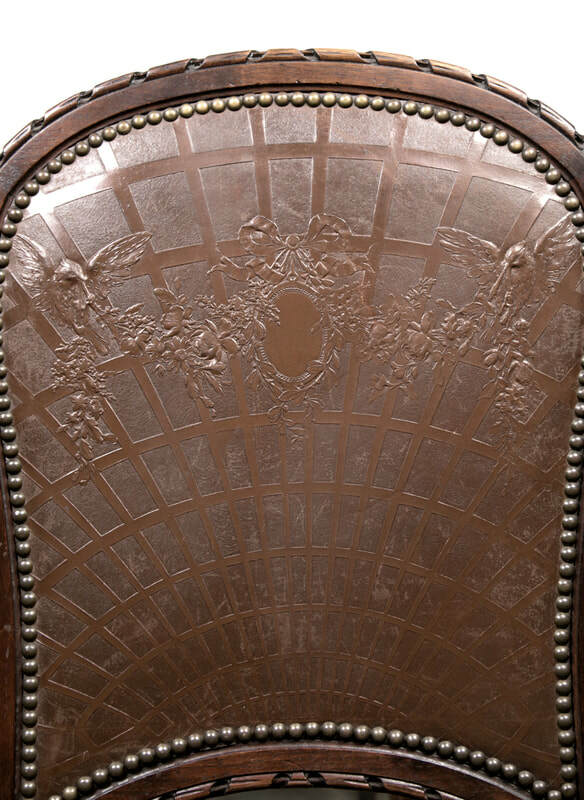 Elegant set of six French Louis XVI style tooled leather dining chairs handcrafted in Paris, having beautifully crafted solid oak frames and original tooled leather seats and backs with nailhead trim, circa 1880s. 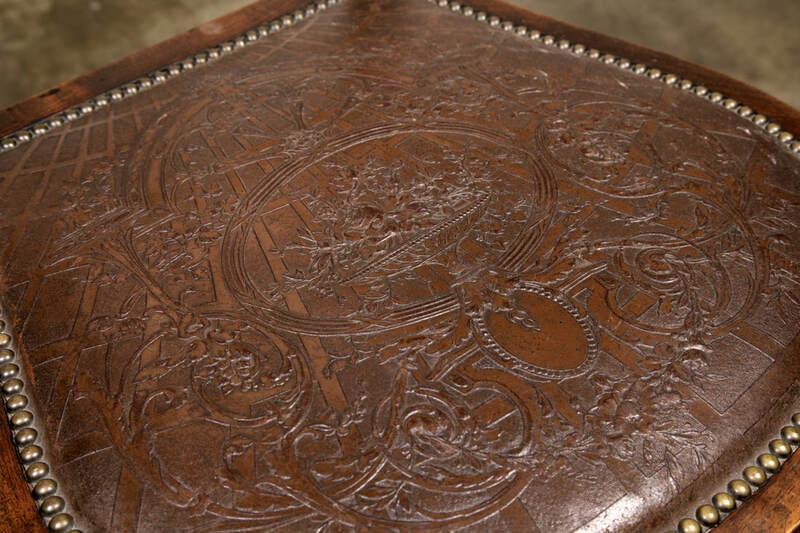 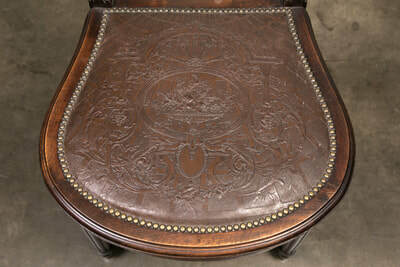 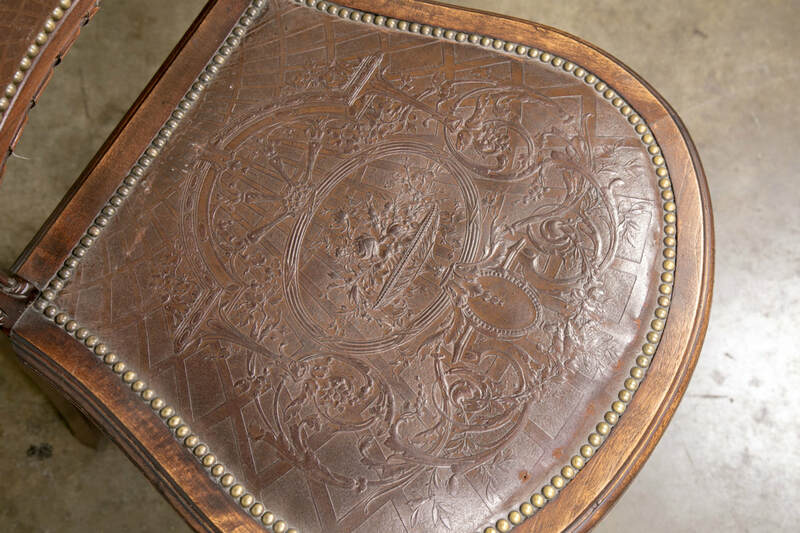 The intricate tooled leather design features typical neoclassical motifs including a lattice background beneath various foliate ornamentation, acanthus leaves, oval medallions, ribbons, lovebirds holding cascading garlands, and a flower filled urn. 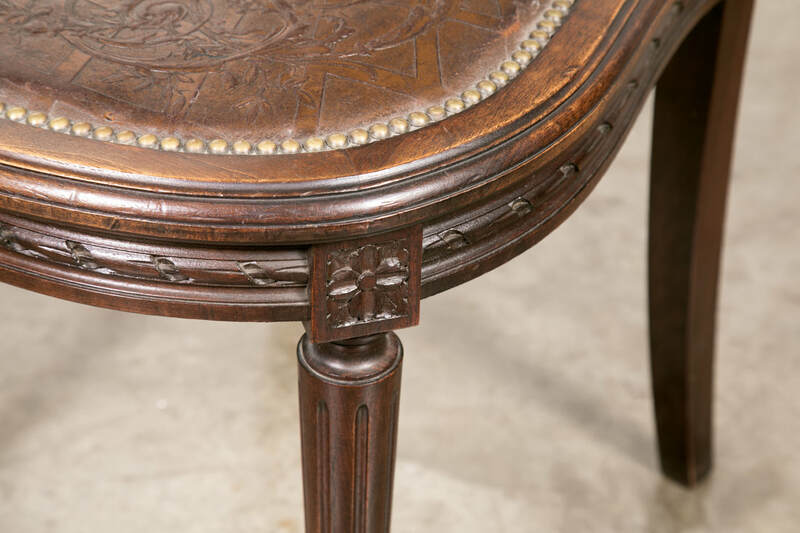 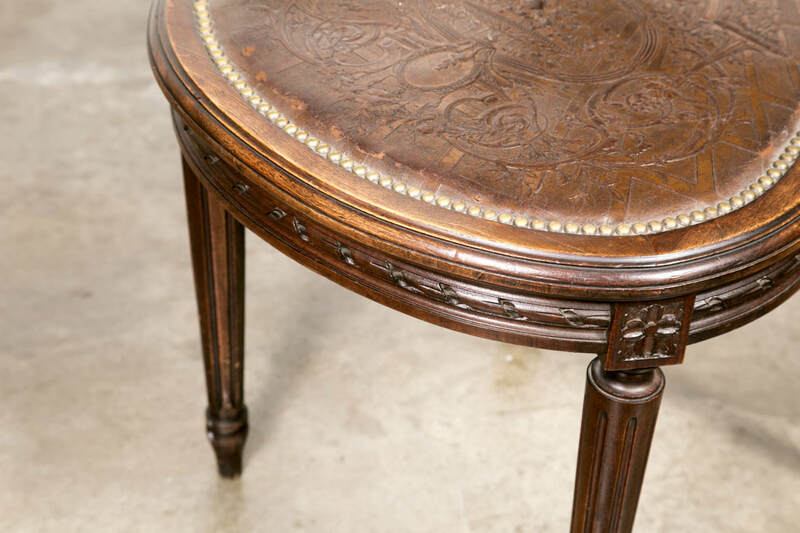 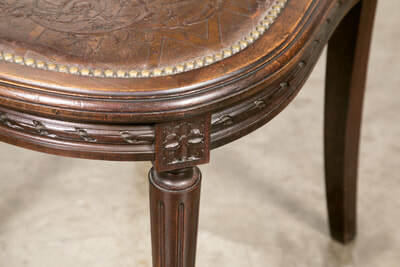 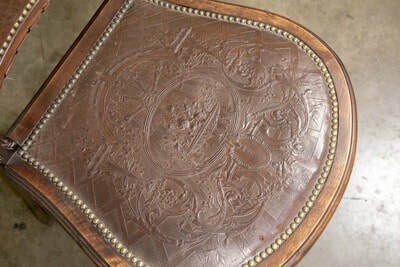 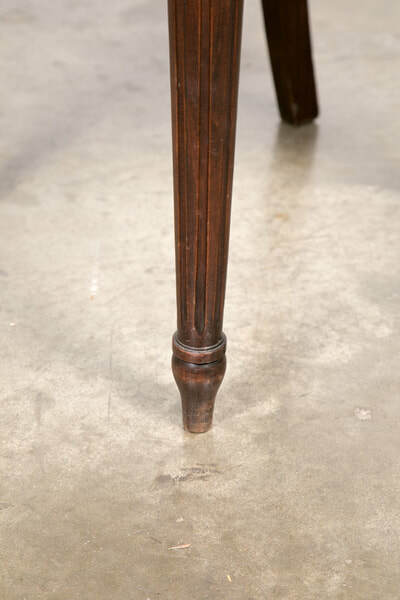 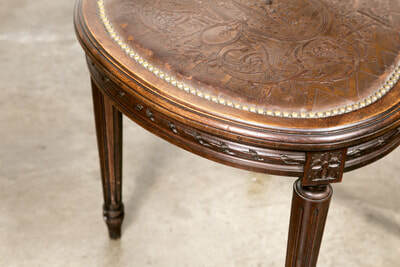 Raised on two front circular tapered fluted legs below richly carved rosette blocks and two back saber legs. 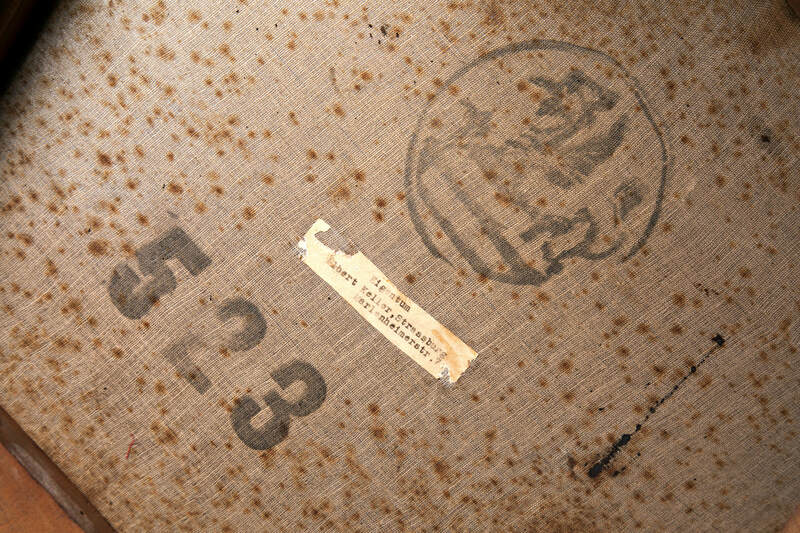 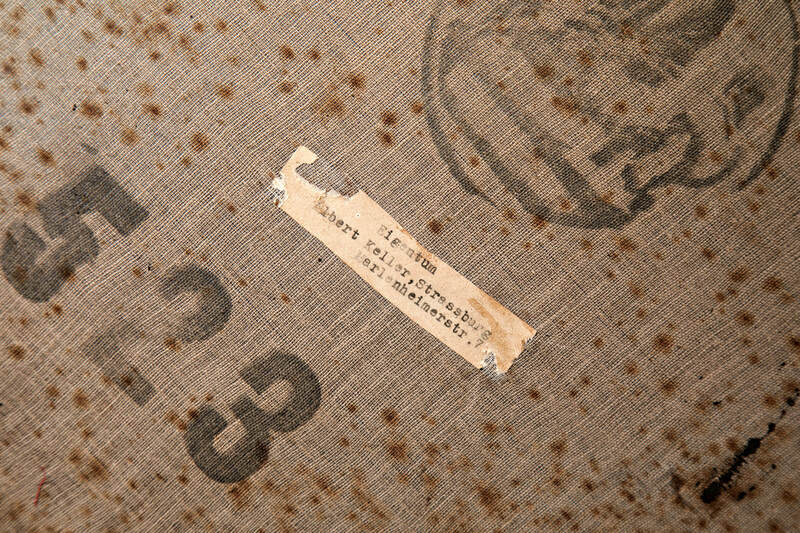 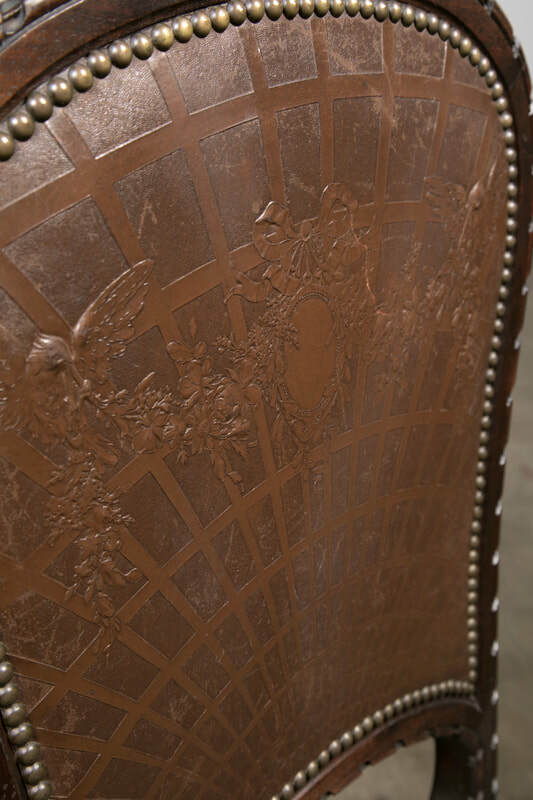 Each chair is stamped with a griffin and the number 523. Chairs are in excellent condition. back h - 39" seat h - 18"